One of the very reasons I started Mr Weekender was because I loved to travel, but I am time poor. I wanted to show that with an adventurous spirit and a bit of planning, you don't have to wait for your annual leave to come around to explore the world. So after living in London for two years, you can say I developed a knack for the good old weekender. As well as having four weeks annual leave, I also have 52 weekenders per year which I like to think as my travel playground. Living in Sydney obviously means these weekenders are mostly spent exploring Australia. I recently went on a day trip to Lady Elliot Island and in as little as 10 hours I flew up to the island from Brisbane with Seair Pacific, snorkelled with turtles, enjoyed a delicious seafood lunch, went on a stunning reef walk and before I knew it I was back in Brisbane; a true reef within reach. Who would have thought I could have enjoyed a trip to the Great Barrier Reef from Brisbane and fit all of that in just one day? How to get there A coral cay island located at the southern tip of the Great Barrier Reef and 80km north east of Bundaberg in Queensland, the only way in and out of the island is by plane with Seair Pacific who have a fleet of Cessna Caravans which seat 12 people. As an ex-flight attendant I was seriously in my element flying up to Lady Elliot Island and back from Brisbane. What to do Lady Elliot is Queensland's best kept secret, and one of the best diving and snorkelling locations this side of Australia. Famous for its unspoilt coral reef and array of spectacular marine life, Lady Elliot is situated in a tidal lagoon surrounded by a vast reef of living coral. Flying into Lady Elliot itself was an adventure and from the skies the island showed off a riot of colour. A declared Marine National Park Zone, Lady Elliot is one of the few islands where you will see live coral and abundant marine and bird life at every level. Perfect one day and even more perfect the next, there is as much or as little on the island for you to explore depending on your pace. You can step off the beach and snorkel, swim or dive to discover an underwater world of brilliantly coloured marine life, or if you feel like chilling out there are plenty of spots to lay down a towel and read a book under the warm sun. When I first arrived at the island I went on an island tour where I fed some local fish - they were super slippery as they swam between my legs. Following this I embarked on a glass-bottom boat tour where I donned a wetsuit and snorkel and swam with the turtles; and yes, I even touched one! I have some beautiful underwater photos which I will share soon. With exceptionally clear water year round, I saw some simply stunning varieties of fish and coral. It was a bit choppy but underneath the water was very calm. Where to stay Accommodation on the island is through the Eco Resort; but don't expect five star. Lady Elliot Island is all about the environment and surrounding landscape, as opposed to luxurious accommodation that has a turndown service and leaves chocolate mints on your pillow. Besides, with so much to see and do you wouldn't want an excuse to sit in your room all day. Visitor numbers on Lady Elliot is limited to 150 people at any one time, including overnight and day guests so it will literally feel like you have the island to yourself. Perfection. 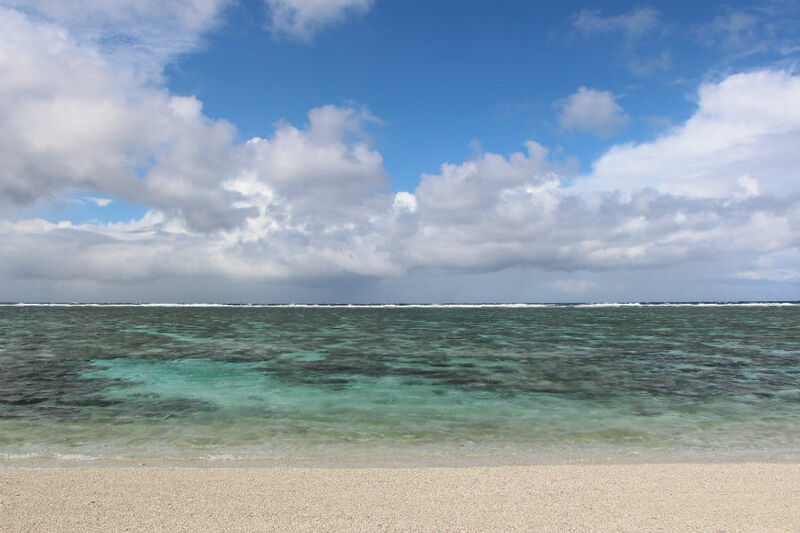 If you're looking to plan a day trip to Lady Elliot Island, or perhaps dabble in a weekender, head over here for more information about the island and the Great Barrier Reef. If you're undecided as to go for a day trip like I did, a weekender or even a week, head over here for some great packages to Lady Elliot leaving from various locations such as Brisbane, Redcliffe and Bundaberg - perfect for us time poor travellers!